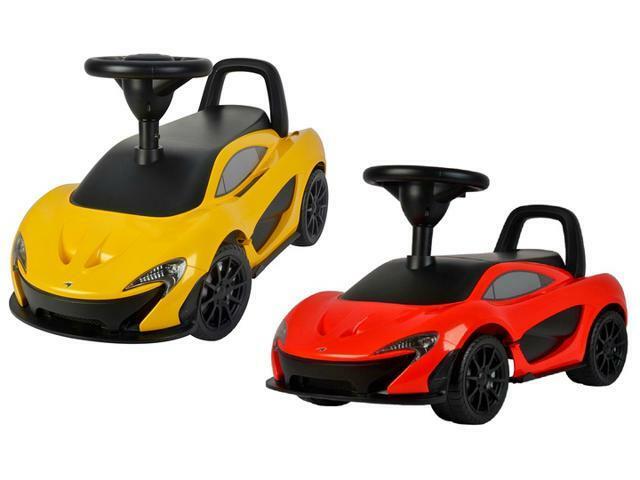 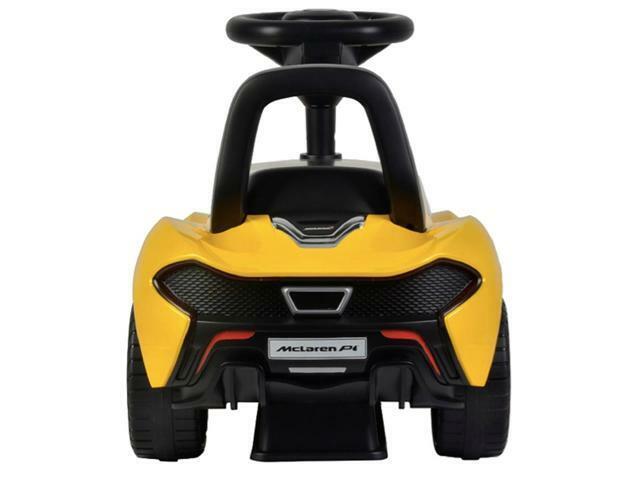 Realistic body styling and authentic paint colors will stimulate your little one's imagination when riding on the McLaren Ride-On push car. 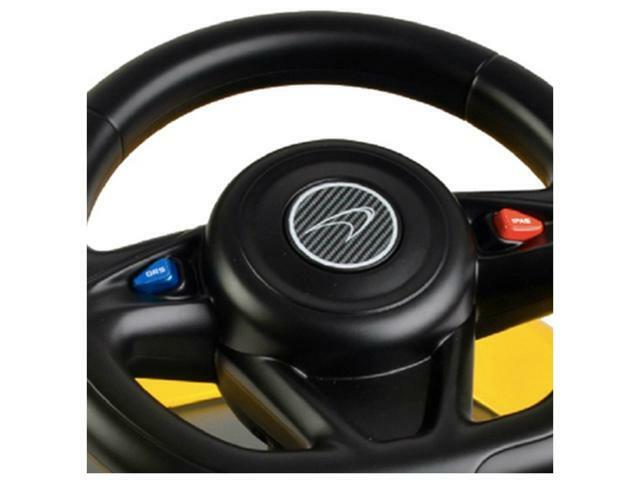 The oversized steering wheel will give your little one a stability to hold to as they play a catchy tune with the push buttons. 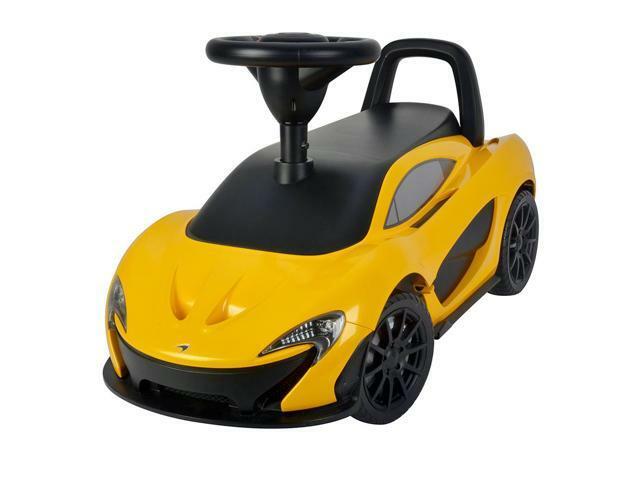 The push car has a functional horn to warn oncoming toddlers.